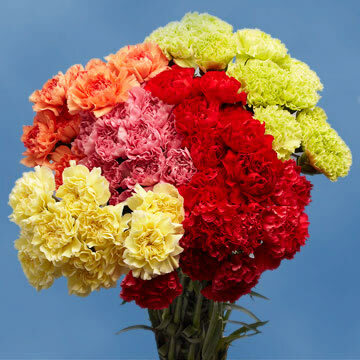 Color Carnations is a combination that may include Red Carnations, White Carnations, Yellow Carnations, Orange Carnations, Pink Carnations, Lavender Carnations, Hot Pink Carnations, Peach Carnations and Bi-Color Carnations. 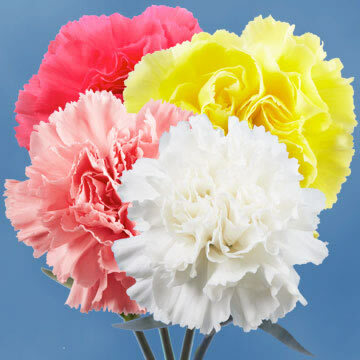 Dianthus caryophyllus is a species of Dianthus. It is probably native to the Mediterranean region but its exact range is unknown due to extensive cultivation for the last 2,000 years. 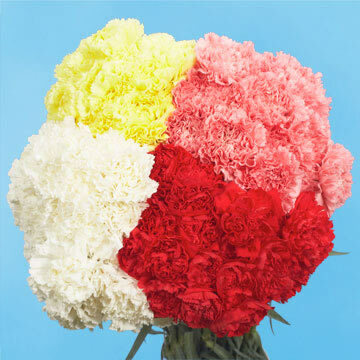 It is the wild ancestor of the garden color carnation. 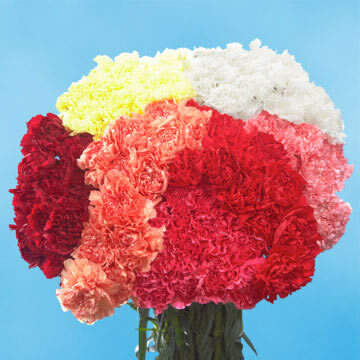 We cultivate wholesale florets every day in the leading climate available. Globalrose flowers are produced, using the latest cutting-edge technology attainable so that quality and freshness is guaranteed all year. 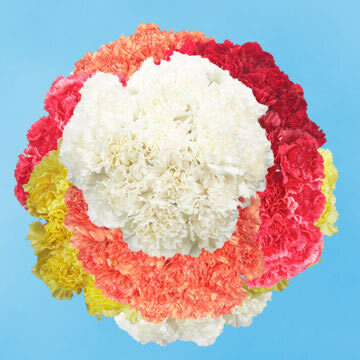 Our products are delivered direct from the farm via FedEx within three days of harvesting.